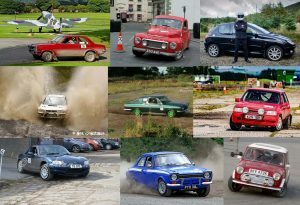 Mull Car Club Ltd (in association with Saltire Rally Club) are intending on putting on a dual permit multi-venue Targa Road Rally & Historic Road Rally as part of the replacement for the cancelled Mull Rally. The Route and Permit applications have been submitted this week, it’s all been a mad rush since our stage rally was cancelled, but we are getting there. Full announcement and regs/entries should be out by the end of August. *while we really would love everyone to stay on the island as long as possible, we also wish to make the event as accessible as possible to those who are time-limited. There are 3 ferry sailings to Mull on Friday morning which allow crews to make the start, and one late night sailing which allows crew to leave afterwards. Check www.calmac.co.uk for timetables and bookings. There will also be a Gravel Rally Time Trial on Saturday 14th Oct for those with Stage-prepared cars, and some social events. 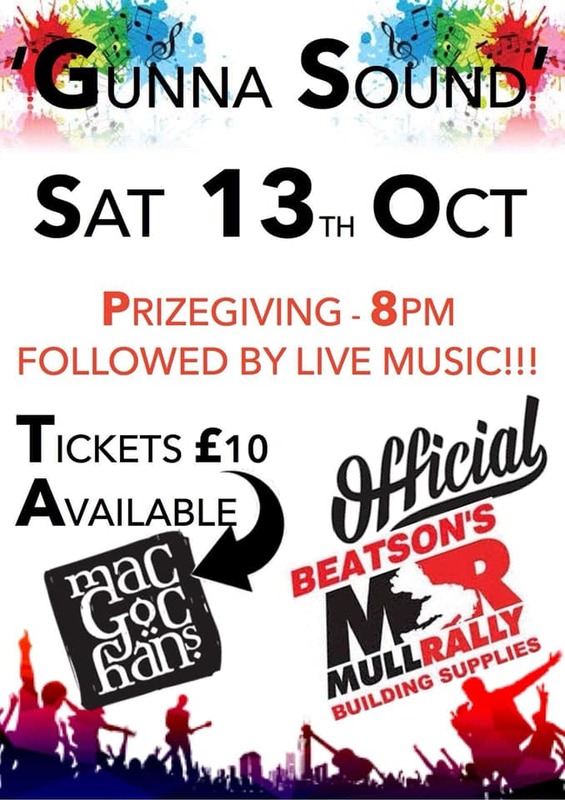 It is a matter of considerable regret for the organisers and the Motor Sport Association, the sport’s governing body, that the Beatson’s Building Supplies Mull Rally cannot run as a closed road event in 2017 due to insurmountable insurance issues. “The Mull Rally runs under a private Act of Parliament. It has emerged that the private closed road legislation raises very significant insurance challenges for Mull this year, which was first thought to render the Mull Rally uninsurable. Consequently the Mull Rally is unable to run as a closed road event this year. It will be the first time the world renowned three-day rally, which last year attracted a record-equalling 150 crews and generates around £1 million for the local economy, will not have run on closed public roads since the event was granted its Act of Parliament in 1990. “This development has come as a massive shock,” Andy Jardine, Mull Rally Clerk of the Course, said on receiving the news, “as we were well on with a lot of the early work of setting the route and preparing the paperwork. Donald Brown, chairman of the Guardians of Mull Rally, admitted the cancellation of the 2017 Mull Rally will have a negative financial impact on the island. “There’s no denying this is a huge blow to the Island and its businesses who work hard to welcome the competitors, volunteers and spectators each year to the island in October,” Brown said. “The organising team is endeavouring to put on an alternative motorsport event for the same weekend on Mull. Naturally those plans are at a very early stage of development, but it’s hoped the new event will be attractive to Mull residents, competitors, volunteers and spectators alike. The MSA and Mull Rally organisers fully acknowledge the Mull Rally’s economic benefit of around £1 million to the Isle of Mull. It is hoped that following the conclusion of the Fatal Accident Inquiry into the Jim Clark and Snowman rallies in July and August this year, that the Scottish Government will quickly adopt the new legislation recently passed in Westminster which will allow the Mull Rally to make a return in its closed road format in 2018.